Dylan is one of the greatest artists of his time. But his genius wasn’t about Literature. 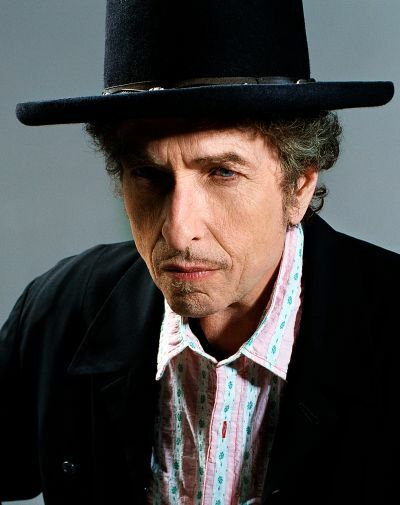 The Nobel Committee today awarded American folk icon Bob Dylan its annual prize for Literature. Not surprisingly, reactions have been mixed. I’m a bit torn myself. There is no questioning at all the immensity of Dylan’s artistic accomplishments, and there’s perhaps even less argument to be had over the influence he has wielded not only over popular music, but over the larger culture. It is simply impossible to imagine what the US would look like today had he never been born, but we can start by considering his role in the anti-war movement of the ’60s. In truth, you could look at his centrality to the revolts that eventually led to the end of that war and make a case that he deserved the Peace Prize. And what about the who’s who of musical artists who followed in his steps? A very small catalog of those who owe their souls to Dylan would include these names, and if there’s nobody on here that you love and admire you just don’t like music. The Byrds The Replacements R.E.M. In other words, I can’t craft an argument that Bob Dylan’s legacy isn’t worthy on a Nobel scale. On the other hand, I wrestle with the fact that the award is in Literature because his genius is in his lyrics and lyrics aren’t literature. Are they? I’ve tackled this question before. As I have noted, I spent 35 years as a poet (and occasional writer of fiction and creative non-fiction) and I hold a graduate degree in English. I also write lyrics from time to time, and have contributed to CDs by Fiction 8 and Paul Lewis. (I’m desperately hoping to add some more artists to this way-too-small list.) So while I’m not massively famous (or remotely famous) on either count, I do know a bit about lit and music. As I explained in a detailed two-part series several years ago, despite the fact that we constantly hear people saying things like “rock musicians are the poets of our age,” it simply isn’t true. We’re fond of calling our great rock stars poets. Dylan is a poet. Springsteen is a poet. John Lennon was a poet. Jim Morrison (*gag*) was a poet. And so on. Certainly the first three (have) produced some marvelous words, but as a poet – forgive me if I call myself a “real” poet here – I’ve never quite been willing to accord their work the status of poetry. This isn’t necessarily a slam – their work isn’t architecture, either. Of all the great songwriters I’ve encountered, precious few wrote songs that work as poetry – that is, they work as words on their own. Most great rock poetry sounds pretty silly once you take away the music. Mark Knopfler had a couple moments early on, and Fish is probably the best at crafting lyrics that stand in their own right. None of this means that what your favorite rock poet is doing isn’t wonderful. It’s just something else, and needs to be evaluated on its own terms. Just as I can’t argue against Dylan’s greatness, I can’t argue for him as a literary figure. Dylan is to lit what Monet was to architecture. In the end, I find myself happy that one of our epic talents has been recognized for his accomplishments, yet unhappy that the recognition is wholly inappropriate to what his accomplishments actually were. I guess there’s a simple solution: we need a Nobel Prize in Rock. Of course, how long would it be before they started handing it out to people like Madonna…. We’re really, really not. Some people are NOT poets. Some of them are running for president. You have some valid points here, but Bob Dylan won for creating new poetic expressions. One songwriter I love that was definitely a poet was Nick Drake. He went to Cambridge University and studied English Literature. His poem/lyrics for Fruit Tree is one example. You can find it on NickDrake.com and listen to his songs on Youtube. He was brilliant. So are lyrics “literature” in the broad sense? Us (We?) non-English majors want to know. Well, that’s the argument, init? Having done both, I can say that a) they’re related, but b) they’re different. For me, literature requires that the words stand on their own. Almost none of the greatest lyrics do that. I mean that literally – I’m not sure I could name ten songs where the words work without the music. Do this. Take the song you think is the greatest example you can think of. Copy the lyrics to a sheet of paper. Then read them. read them aloud, and stay away from the phrasing of the song as you do. If this proves impossible, hand it to someone who doesn’t know the song and ask them to read it. Now, read Yeats aloud – maybe “Lake Isle of Innisfree,” or pick your favorite poem from your favorite poet. If you’re at all like me you’re going to quickly notice the difference. I know poetry and lyrics aren’t the same (although Hello, I Love You can do double duty). So you are saying that “literature” needs to stand without music. I know a lot of lyrics can’t stand alone, because when I read the lyrics, I frequently find them more confusing than when sung. For my part, yes, literature is a stand-alone thing. And despite my earlier advice about reading aloud, I see it as an inherently textual thing. Lit is on the page. The read-aloud tactic isn’t to suggest a performative element, but rather to highlight the awkwardness of the words by themselves. A related issue is how slam stuff is being characterized as poetry. It isn’t. It’s performative. It has more in common with hip-hop than lit. Oh well. Not my issue. I’m a photographer. It was a very impressive list of people in your post. Some of them (Leonard Cohen, Neil Young, Joni Mitchell to name a few) really stand out as singer/songwriters, but some had little, if any, contribution in the category. Many of the Greek poets of bygone eras were originally meant to be sung, not just read. They are viewed as literature today. It seems like a hard line to draw. It seems to me that poetry is a subset of literature and songs are a subset of poetry. Many poems have been put to music during their life, which confirms the fluidity of the genre. Dylan called Ochs a journalist. John Prine won some PEN award. Tom Robbins writes the best sentences. Sentences are what create literature. Poetry is poetry. I don’t know. Troubadours.